In lieu of The University of Georgia Bulldogs making it to the National Championship, help support them on and off the field while wearing and having state pride in our great state! 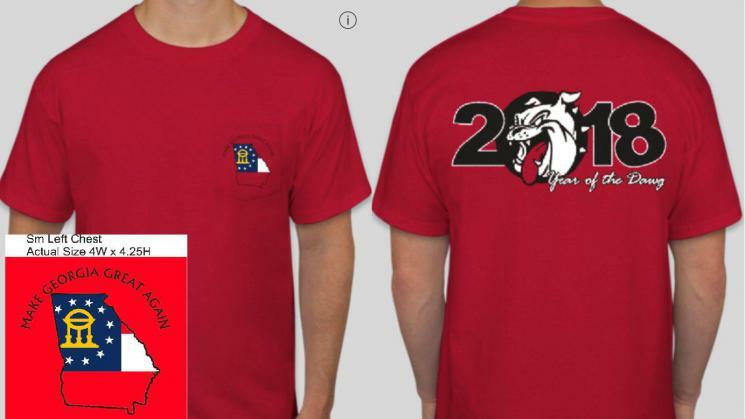 Thomasville High School's mascot is also the Bulldogs so a percentage of the shirt sales will go toward the school to support the baseball team. Shirt comes in all sizes and we will deliver. Thank you for your business.